The mission of the Orlean Beeson School of Education is to guide, develop, and challenge students, academically, professionally, personally, and spiritually to prepare leaders who will positively influence and shape society. The School strives to provide the highest quality Christian education led by a dedicated faculty and staff committed to student success. The vision of the Orlean Beeson School of Education is to be known as one of the leading institutions for intellectual and spiritual development through teaching, scholarship, and service that will positively impact local, national, and global communities. Faith - We demonstrate Christian faith in our daily lives. Respect - We treat all with respect and fairness. Honesty - We promote honesty and integrity. Service - We commit ourselves and our talents to serve God and humankind through generosity of spirit and caring. Collegiality - We collaborate with one another to maximize knowledge, skills, and experiences. Scholarship - We promote intellectual rigor, reflection, and thorough preparation. Learning - We confirm that learning is a life-long commitment. Distinctiveness - We affirm Samford’s commitment to quality education and to distinctive practices and programs. We will ensure a culture of excellence. We will obtain the funding necessary for teaching, scholarship, and service to accomplish our mission. We will offer innovative programs and practices that enhance the educational experience, promote creativity, and prepare students for graduate study and careers. We will support faculty and staff with professional development to assure current and best practices. We will provide resources, such as time, technology, materials, and facilities, to optimize the learning environment. 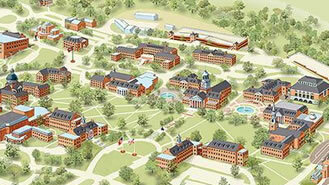 We will promote greater awareness of the accomplishments of the Orlean Beeson School of Education. We will evaluate programs and practice through assessment and evidence of excellence. We will fulfill our professional responsibilities in a manner consistent with our Christian faith. Go to information for Curriculum and Instruction. Go to information for Educational Leadership. Go to information for Human Development and Family Life Education.